The cold weather makes me crave chili and a Multi-Bean Chili was just what I needed. While reviewing YumUniverse by Heather Crosby, this seemed like a great gluten-free recipe to try. 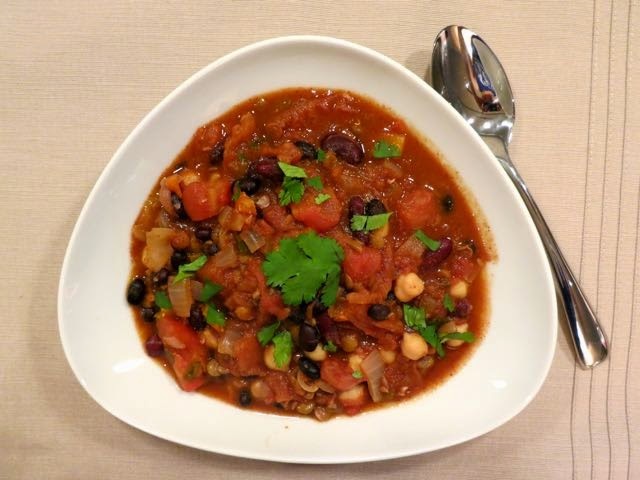 With black beans, red kidney beans, chickpeas, and green lentils along with bell peppers, it sounded pretty hearty. I will say that in the end, it wasn't quite as tasty as I had hoped. It is a good base, but it needs more spice and more veggies. Later on, during the week, I added fresh avocado and more spice to it to give the oomph that it needed. Try it for yourself and let me know what you added to spice it up! 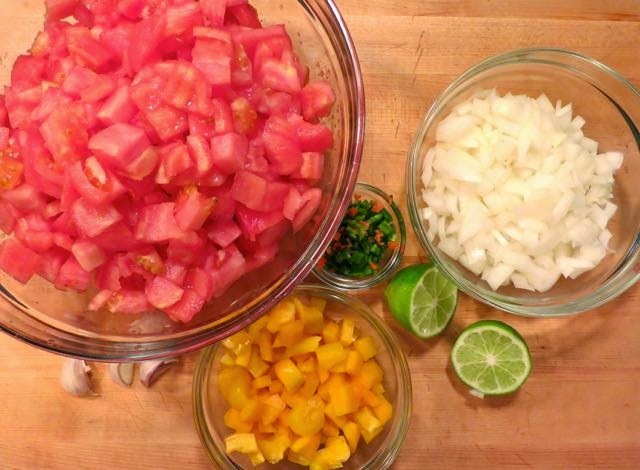 Heat a large stockpot to medium, add coconut oil, peppers, and onion, and saute for 5 minutes. Then add garlic and saute for 3 minutes. Add spices (cocoa powder, cumin, chili powder, paprika, coriander, and chipotle powder) and stir into veggies for about 2 minutes. Add all remaining ingredients to pot except cilantro and salt and pepper and bring to a boil. Reduce heat and simmer for 20-30 minutes. Now season with salt and pepper. If your chili is too thick, add some optional veggie stock or water until you reach a desired consistency. Often, thanks to the juicy tomatoes, it doesn't need extra liquid. It's up to you. 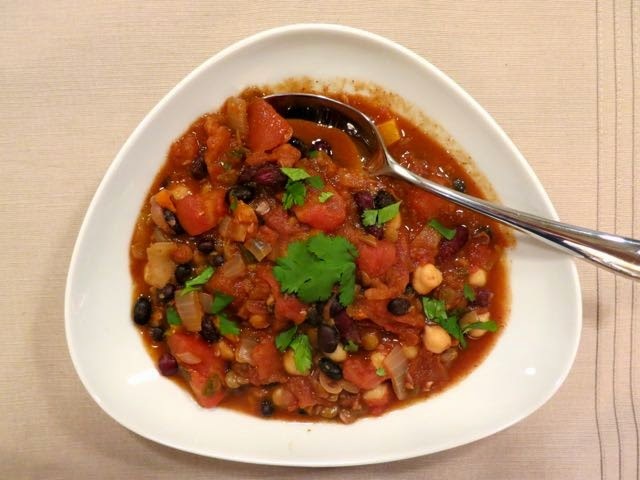 Top the chili with cilantro and serve!